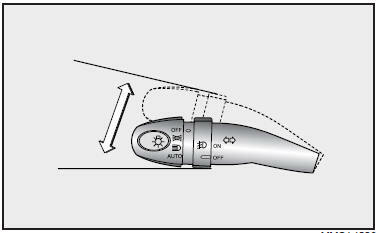 To operate the auto light, turn the knob on the end of the control lever. 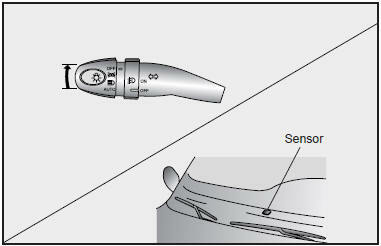 If you set the knob to “AUTO” the tail lights and headlights will be turned on or off automatically according to the outside lighting conditions. To turn on the high-beam headlights, push the lever away from you. Pull it back for low beams.